In the last couple years, Canadian Dj/producer and songwriter Shaun Frank has released tunes with Steve Aoki, Oliver Heldens, DVBBS, and KSHMR, all the while putting out remixes for The Chainsmokers, Duke Dumont, & Kiesza. His apparent knack for teamwork recently earned him a writing credit on this year’s biggest No.1 world wide hit: he helped The Chainsmokers' Andrew Taggart write and compose ‘Closer’ in the back of a tour bus. 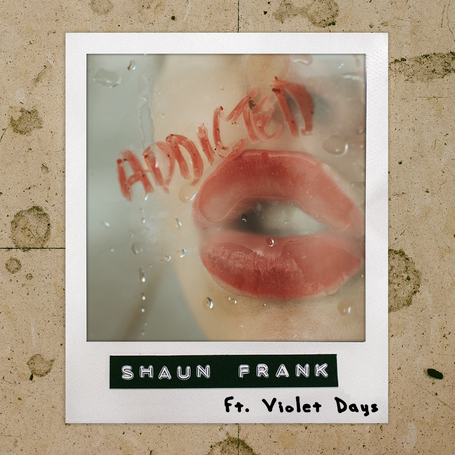 Shaun Frank’s style is taking soaring vocals and churning them into dance/pop tracks, and his latest tune, ‘Addicted’ is no exception. If you look ‘closer’ on the credits, you’ll notice The Chainsmokers’ Drew Taggarts name. While on tour together last year, Frank and Taggart teamed up with Swedish indie pop artist and co-writer Violet Days to complete this love pop anthem. This release follows a string of releases on Ultra Music, such as ‘Upsidedown’ and the Canadian radio chart track ‘No Future’. With each track exploring new sounds and tempos, he continues to display his musical versatility and his exploratory approach to the art of a possible hit song.